So, the news hit last week, that veteran star ‘Englebert Humperdinck’ (who incidentally shares his birthday with Abubilla’s own Andy Patterson) is to represent the UK at the Eurovision Song Contest. Shock? Surprise? Elation? Most of these sentiments have been expressed at the fact he is still going, but it spurred the BBC to run an article about other stars that have changed their name as funny enough Englebert Humperdinck is not what it says on his birth certificate. Here’s a selection of stars for whom a stage name was the best option..
David Bowie was David Jones. 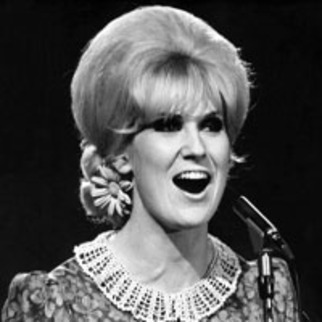 Dusty Springfield was Mary O’Brien. Oh, and Englebert was born ‘Arnold George Dorsey’ and shared a manager with Thomas John Woodward (or Tom Jones).